We cannot deny that modern civilization is built around the automobile. It is almost impossible to think of the world that would exist without the car. We depend upon vehicles for every aspect of our life and having a car is not just a question of luxury, but a matter of necessity. 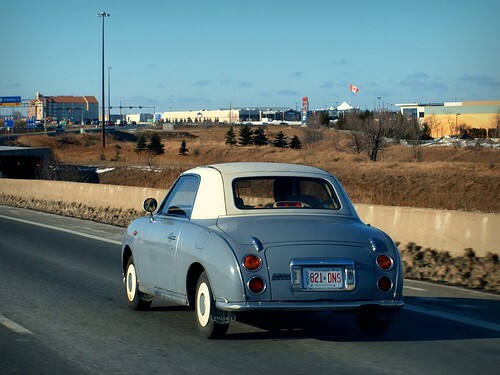 However much we may praise the car, there are a few drawbacks of owning one. In the present situation, the biggest drawback is gas prices. A car is nothing without fuel and gas prices seem to be skyrocketing, with no inclination of coming back down. Car companies are working furtively to manufacture cars that will run on alternate sources of energy, but that is still a very distant future. The best we can hope to do not is to get as much mileage as possible from every drop of petrol and diesel. People are abandoning the behemoths in their garages for smaller cars that guarantee excellent fuel economy. However, there are a number of steps that you can take in order to improve the fuel economy on your existing vehicle. Don’t drive slowly. Drive smartly. As far as fuel economy is concerned, the biggest misconception is that driving slowly helps improve fuel economy. The truth is that it’s not how fast or slow you drive, but the manner in which you achieve the speed that really matters. Research has shown that every car has a different speed at which it is most fuel economical, but the biggest factor that determines the fuel economy is how lead-footed a person is on the accelerator and brake pedals. The best way to achieve excellent fuel economy is to maintain a steady speed for as long as possible; that is why the highway mileage figures of a car are much better than its city mileage. Do not step in the accelerator aggressively every time you need to get a move on. In cars with automatic transmission, simply releasing the brake can provide enough momentum to cover the little gaps when stuck in a traffic jam. Similarly, avoid stepping on the brakes when you don’t need to. If you see a red light well in advance, take your foot off the gas pedal and coast to the intersection. Simple driving more sensibly will help you achieve a much better fuel economy, even if you drive a gas-guzzler. Weight is bad news for a car. The heavier the car is, the more the burden on the engine. Not only does it affect the car’s performance, it is severely detrimental to the vehicle’s fuel economy. 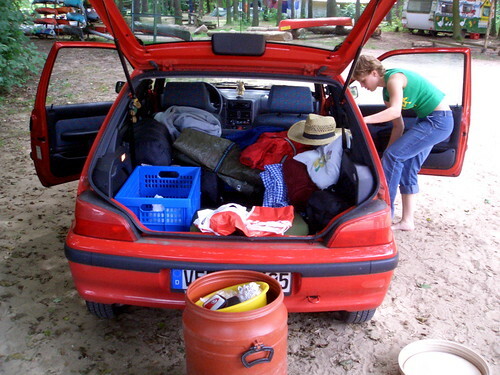 There isn’t much you can do about the overall weight of the car, but what you can do is ensure that no unnecessary items are piled up in the vehicle. We all have that one friend that has so many things stored in his car that it would seem he or she lives out of their vehicle. It is very important to get rid of all unnecessary items that add undue weight. Keep the spare tire and emergency kit and get rid of the gym bag that always sits in the trunk of your car, even though you have given up on going to the gym a long time ago. Low tire pressure is not just bad for handling and comfort, but also affects the fuel economy. Always ensure that the tires are filled up to the manufacturer’s recommendations. Invest in a good tire pressure valve that will let you know when the air pressure dips too low. Having your tires inflated properly will help you save gas for every mile that the car is driven. There isn’t much we can do about the rising gas prices, but we definitely can help improve the car’s fuel economy. Whether you drive a Hyundai or a Mercedes-Benz, follow these simple steps and you will notice a sharp improvement in the fuel economy figures for your vehicle. Mary Hanks is an avid blogger who suggests using Licence Checking, which is a very cost effective, easy to use, practical and much less time consuming than any manual checking process.